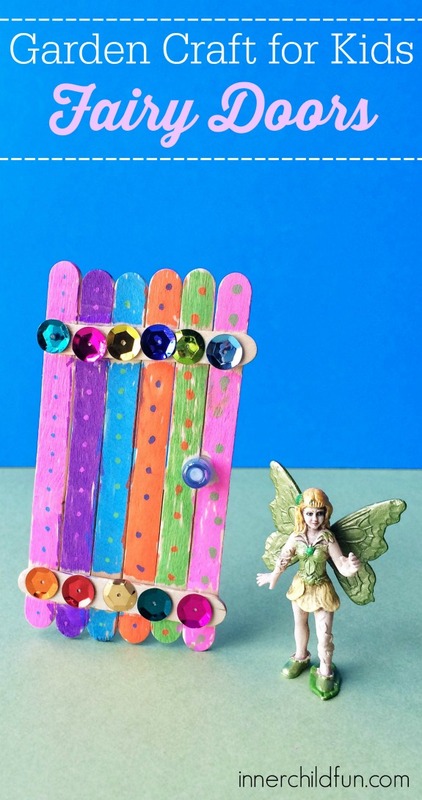 Ever wondered how to make a fairy door? This simple garden craft is an easy way for kids to add a little whimsy to their outdoor garden space. 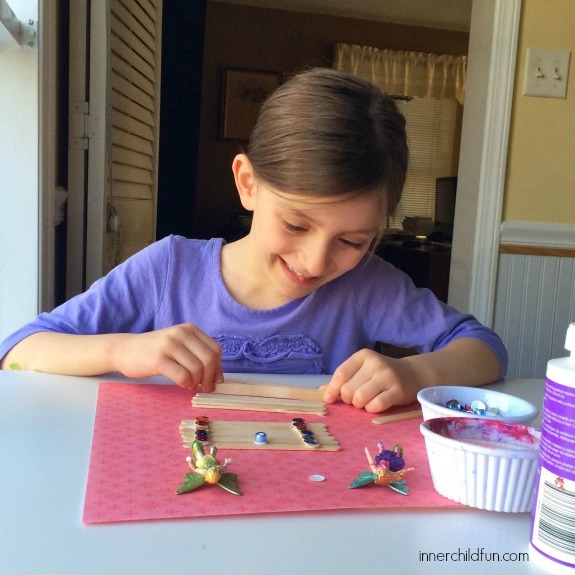 Making fairy doors with your kids is a great way to foster their imagination! 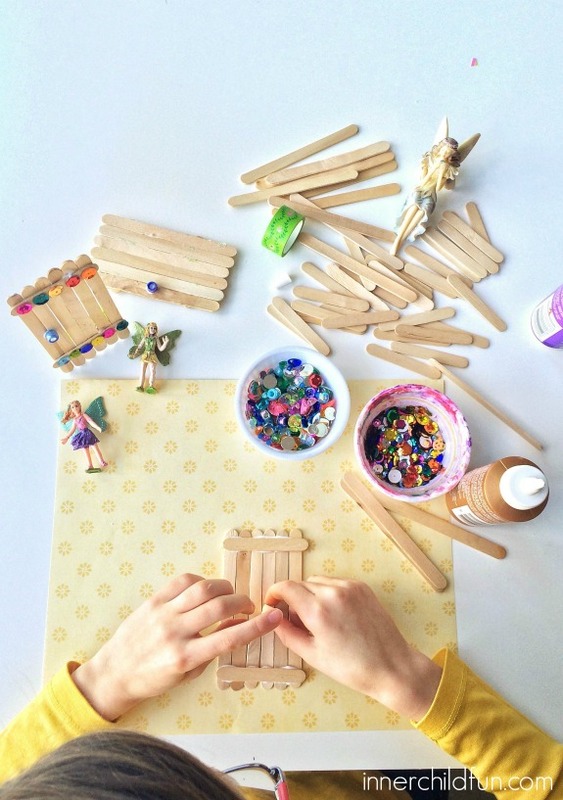 My kids enjoyed crafting their fairy doors and decorating them however they liked. However, they also enjoyed giving vivid descriptions of what lies behind each fairy door and creating their own imaginative worlds to go along with them! Place six craft sticks in a row side by side. Arrange two half-length craft sticks on top as shown in the photo above. Glue the half-length craft sticks in place. Allow to dry completely. A pony bead is the perfect size for a fairy door knob! You can decorate the front and back of your fairy door however you would like with sequins, glitter glue, markers, or even paint. Allow to the glue to dry completely. Add your fairy door to your outdoor play or garden space!